Our latest product release has three new updates for customers who use the Source and Test applications. You can now respond to candidate messages directly from your inbox. When a candidate responds to one of your messages, you receive an email notification. Simply reply to the notification email and the candidate will get your message. Of course, you may continue to reply to a candidate from your dashboard if you choose. By removing the redirect step, communication with candidates is faster and more efficient. Now you have more time to engage with more candidates! We have revised our CFR groupings to more accurately segment candidates according to their skill levels. While individual candidates' CFR scores and CFR calculation methods have not changed, they may belong to different color buckets with this update. 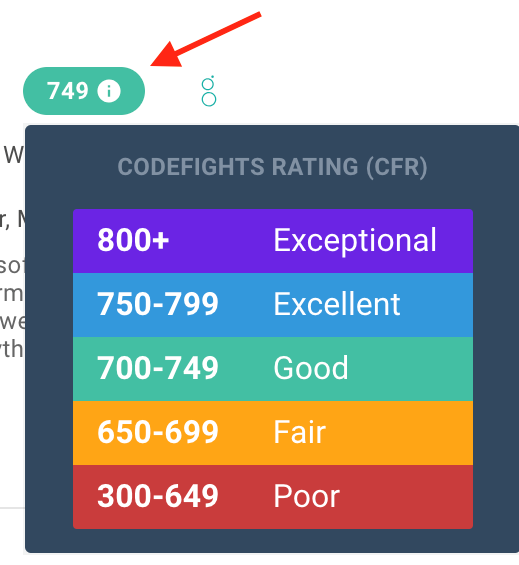 For instance, a CFR score of 749 is now denoted in green instead of yellow. We hope these new groupings help you identify the candidates you are looking for more quickly! 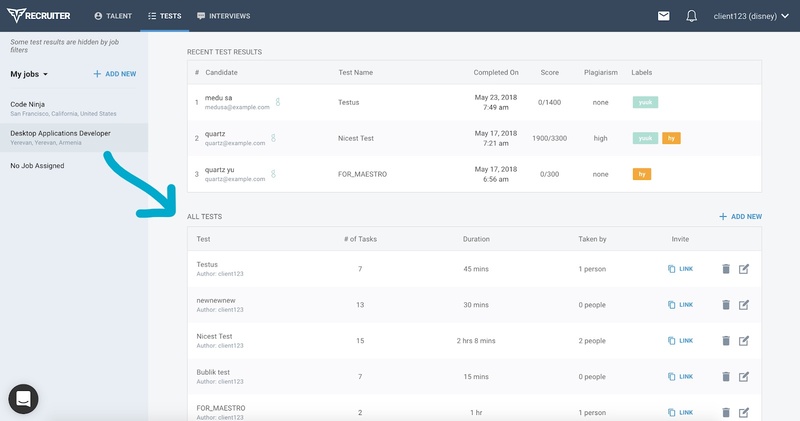 Your Test Dashboard has a new look! For your viewing pleasure, your list of Tests is now front and center on your dashboard. It can be found just below "Recent Test Results." Now, you can navigate to different tests by clicking on a particular test name within this new All Tests section. Within a particular test page, you can continue to invite candidates to the test and review test results.